There are few things more frustrating than building or paying for a website and not making it onto the first or second page of the search results. There are many reasons a website can be lost in the noise of the Internet. 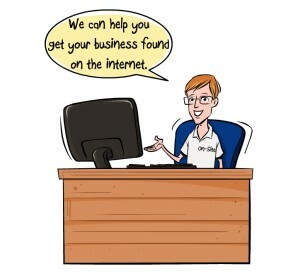 SEO or Search Engine Optimization is about getting your website to show up in search results. For those trying to get their business to show up it can be an expensive proposition to show up in search results in terms of not only money but time and energy, as well. To make matters worse there are hundred of ranking factors and they are not released by the search engines. One can only “guess” what they are supposed to do. Search Engine Optimization Companies study and conduct research on search engine results in an attempt to quantify what is necessary for a website to rank. Here are some basics that SEO Services have identified and agree are essential. . . .
Keywords: One of the primary tools that search engines utilize to determine the relevance of your website vs what the searcher is looking for are keywords. In general terms, does your website contain the vocabulary that is relevant to the topic? For example, if your website is about weight loss, the search engines might expect to see the words/terms weight loss, diet, exercise, fat, muscle, cardio, carbohydrates, goal and so on. Keyword ideas can be found from any of the numerous keyword tools available online. Avoid keyword stuffing though; look it up. Images: The search engines want to find the best webpages. Regardless of age, people enjoy looking at pictures. Be sure you’re using images on your webpages. Also be sure you have ALT attributes on your images. That is the name of the image when hovered over by a mouse. Keep the number of images reasonable. Google is succeeding at developing a method for analyzing images better and identifying the content on the image. Currency: It’s important to continuously add content to your website. The search engines like to see that your website is staying current and that you’re attempting to add some real value to the search engine. A dead website will eventually slip down in the rankings. Keep a schedule, be consistent and stay on top of your website content. Backlinks: Backlinks are not “on your website” rather they point at it from other websites. Backlinks are basically a vote. But it’s not just the number of backlinks that matters; it’s also the quality of the backlinks. A link to your website from Harvard University will be given more credibility than a link from a less prestigious source. Be sure to earn backlinks by providing quality content to credible sources. Do not “place them.” If credible sources like your content they may feature it on their website. →Sign into (or create) a Google account. A Google account is free; so don’t be concerned if you don’t have one. Search for your business with your city and state in the search criteria. You’ll be looking for your business with a pink balloon by it. If you see it, Google already knows your business exists. →You will be given options to verify that the listing is yours. This is done by phone or postcard. The phone is much faster! You can then edit the listing. While you can edit the listing prior to the verification process being completed, the edits will not take effect until after the verification. ll be able to fill out the simple form online. →Again, the listing will have to be verified. You wouldn’t want a competitor claiming or creating your listing. Yahoo Local: Yahoo provides a similar service called Yahoo Local. →Again, you’ll need an account with Yahoo. It’s also free. You’ll again be given the opportunity to claim an existing listing or to create a new listing. →Either way you’ll have to wait for a verification via mail. When you receive a verification code in the mail it will give you a website address where you can verify your listing. Simply enter the code.Be sure to complete the entire listing. This includes a photo, hours, payment options, contact information, etc. You can also include information about your products and services. Bing Places: Bing’s local listing service is called ‘Bing Places’. →Of course, a free Microsoft account is needed. →Search for your business. If you can find it, go through similar process to claim your listing. If you can’t find it, which is common for Bing Places, you’ll have to create a listing. There are hundreds of ranking factors for appearing in search results but once you’ve accomplished the basics: you have a website, have the basic SEO elements on your website, and have claimed your local listings you need to develop your web wide presence, further. There are many small internet properties you need to have your site listed on. These are called Internet Directories. Sites like YP.com, Mojo Pages, Whitepages, Foursquare, Local.com and Manta will let you list your sites in their directory for free. Your company information should be consistent and up to date across the entire internet ecosystem. In my opinion, you, or someone within your company should be responsible for your social media listings. No one is going to take the care in developing these that you will. The big sites you need to have a business page for are: Google+, Twitter, Facebook, Pintrest, and LinkedIn. 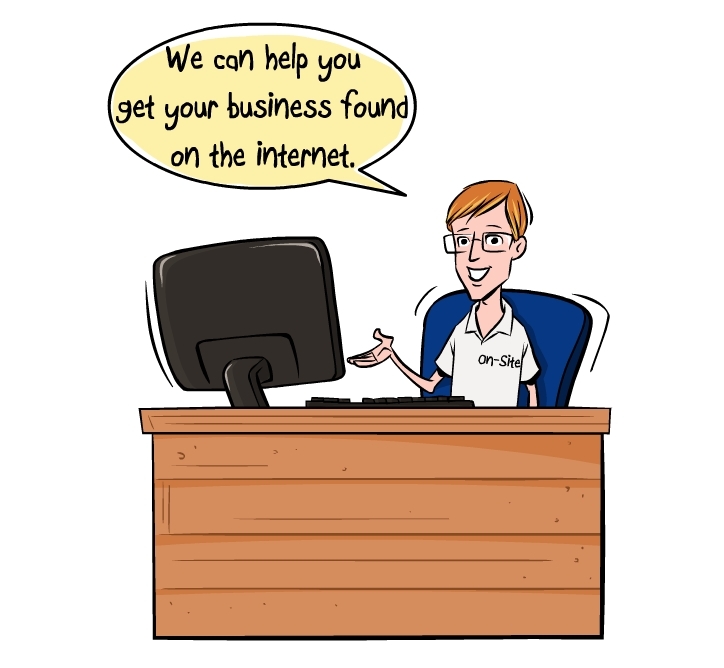 Here you can connect with other local business and customers and interact on a local basis. You can post updates, sales, and other information about your business and start to develop online relationships locally and around the world. It’s hard to speak any language effectively if you don’t know the relevant terminology. Over time the SEO field has developed its own unique vocabulary. With a few minutes of reading, you’ll know the language necessary to be able to speak intelligently with any SEO expert. Alexa: You’ve probably heard of Alexa rankings. This free service measures traffic for many websites. You can see how you rank compared to your competitors or conduct other relevant research at the Alexa website. Anchor Text: The text on a webpage that is clicked to follow a hyperlink — often underlined differentiated by color. Authority: This is the ability of your website or web page to rank effectively with the search engines based on the perceived knowledge you or your company has in your field. 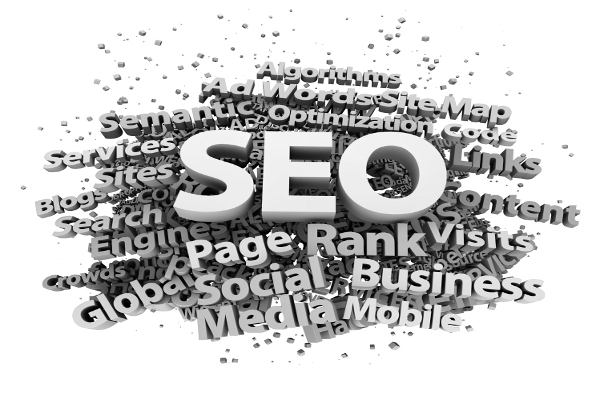 Black Hat SEO: These are SEO practices that the search engines consider to be underhanded. Each search engine has its own set of guidelines. For Google they publish a digital document called “Google Webmaster Guidelines.” If you’re outside the guidelines, it’s considered to be ‘Black Hat SEO’ and you are subject to various penalties. Broken Links: This is simply a hyperlink on a webpage that isn’t functioning properly. In most cases, the target of the link has been removed and one clicking the hyperlink is directed to a webpage that gives a “404 error” meaning it no longer exists. Conversion: A conversion is an impression that turns into a click. De-Listing: The term for having your website either permanently or temporarily de-indexed from one or more directories or search engines. That is to say, removed from search engine results. Domain Age: Many search engines and social networks consider the age of a website, page, or domain in determining relevance, trustworthiness, etc. Having an older domain is usually advantageous but not always. There are many factors in ranking of which “age of domain” is simply one. It is not unusual to see a new high quality website outrank an old, mid-quality one. Duplicate Content: Similar to plagiarism, duplicate content is content on your website that too closely mimics content on other websites. External Link: A link of your website that links to another website. Impression: An impression is a unit of measurement that counts as one appearance of your website or a page on your website in search results. Keyword: A search term or phrase you think users might type into search engines to find goods, services, or content. Keyword Density: The frequency a specific keyword appears in web content; usually described as a percentage. Keyword stuffing: Using a keyword on a webpage in an unnatural manner and at a frequency considered excessive by the search engines. Landing Page: The webpage a searcher lands on when they click a title/description in search results – usually the home page or “page one” of a website. Niche: The main subject matter of a particular website. For example, a website might be in the high-end wine or baby toy niche. Nofollow: These are links that prevent any link authority from being passed to the link object. For example, most forum comment or blog comment links are nofollow. Organic Search Results: These are the search results that naturally appear on search engines that are neither part of the paid or local result. Page Rank: A logarithmic means of ranking web content. Relevancy: The ratio of accuracy between search intention and search result. SEO: short for “Search engine optimization” is the science and art of making a website or web page attractive to both search engines and users. Search Criteria: The word or string of words one types into a search engine in an attempt to yield a desired search result. SERP: Search engine results page or the list of abstracts one sees after entering search criteria into a search engine search box. Site Map: A site map provides an alternate means for search engines to crawl and interpret a website. User Sitemap: An intra-site map which serves as a “table of contents” to help user navigate a website. URL: Uniform Resource Locator often referred to as simply web address. Each webpage on the internet has its own unique URL. It’s not easy keeping up with all the sweeping changes in the competitive world of Search Engine Optimization. In fact, today it should not be called search engine optimization at all. It should be called “customer optimization.” The search engines such as Google, Bing and Yahoo are getting smarter all the time and they don’t allow many old SEO techniques which are called “webspam” now. 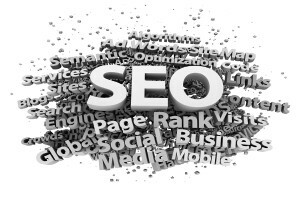 You may not be aware that many methods companies used to employ for SEO may hurt your ranking status now. Today, proper SEO is all about adding quality and value on the world wide web. Google states in webmaster guidelines that you should “Make pages primarily for users, not for search engines.” This is the shift we try to help our clients understand. We want to focus on the technical aspects of your website, yes but more importantly we want to provide real value and content for your customers so you’ll become relevant in your industry, naturally. At On-Site Louisville Computer Repair Company we’ve learned this lesson, adapted to it, and we’re ready to pass on our knowledge to you and help your website thrive in the new virtual search environment. If you need an SEO Consultant we are here to help you sift through the mounds of information and make sense of it all and boost your website’s search performance. Whether you’re interested in paid, local or organic search performance you can call us to discuss your Search Engine Optimization in Louisville, KY or anywhere so when people look for your services online — they can find YOUR Company — not just your competitors. This entry was posted in Slider by Chris Calkins. Bookmark the permalink.